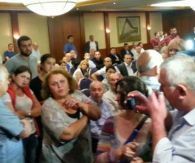 TBILISI, DFWatch–A public discussion on Thursday about the construction of a new hydro electric power station in Svaneti led to a physical scuffle between supporters and opponents. The reason for disagreement was Khudoni power station, a mega project that was scrapped by the Soviet Union due to environmental concerns, but revived by President Saakashvili. The protest rally led Marriott Hotel to close its entrance while the discussion was ongoing, as human rights activists and representatives of local non-governmental organizations protested against the construction of Khudoni power station in the Svaneti, a mountainous region in western Georgia. Preliminary construction work on Khudoni should have started in 2011. There was planned a 650 MW hydro power station by the year 2012. The previous government said that investments of one billion USD was dedicated to the project. But environmental experts said the construction of 200 meters dam and reservoir would cause flooding of the village Khaishi. This would lead to forced resettlement of the local population. The government of Georgia, with the support of the World Bank, ordered a study, which was published in 2011, which recommended three projects as the most attractive options: Namakhvani, Paravani and Khudoni. But environmental activists and others were skeptical to Khudoni. 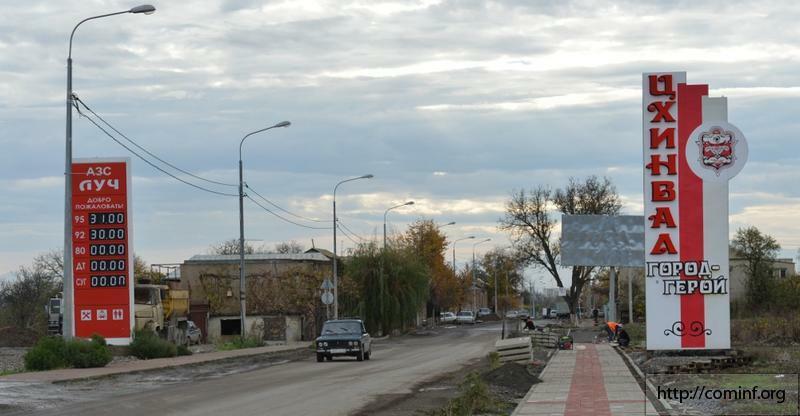 A few days ago, Prime Minister Ivanishvili restarted the construction of Khudoni. President Saakashvili said that the PM is starting a construction which his government already started twice. 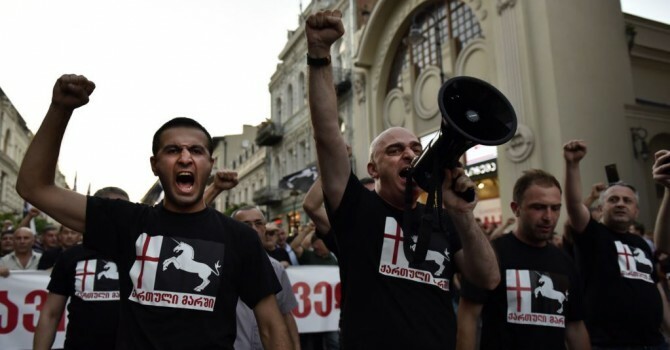 At Thursday’s discussion in Courtyard Marriot Hotel in Tbilisi, supporters and opponents of the Khudoni plan confronted each other in a heated discussion. People who are against the construction claim that a giant hydro power station in Svaneti will cause flooding of villages and destruction of historic places. But supporters of the project disagreed. The discussion ended in screaming and yelling, as someone announced that the time of the rented discussion room had expired. Outside in the street, a protest rally was ongoing in front of the hotel. Participants at the rally say the construction of Khudoni power station is unacceptable because it will cause climate changes and destruction of the nature in Svaneti, not to speak of the historic places which will be destroyed. Human rights activists and NGOs appeal to the prime minister to fulfill his promise before the parliamentary election in 2012 to stop construction of the Khudoni project. Rally participants said they will continue to fight. 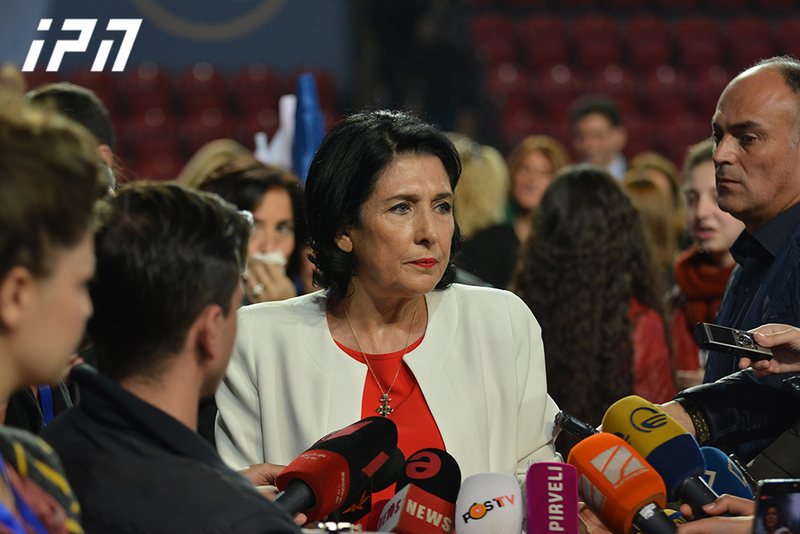 They will go to Svaneti and support people who have sworn not to let the Khudoni dam be constructed. Trans Electrica Georgia, the company which is implementing the project, promises that the interests of the population will be taken into account and appropriate compensation will be given, because more than 200 families, or about 800 people, will be left homeless because of the plan. 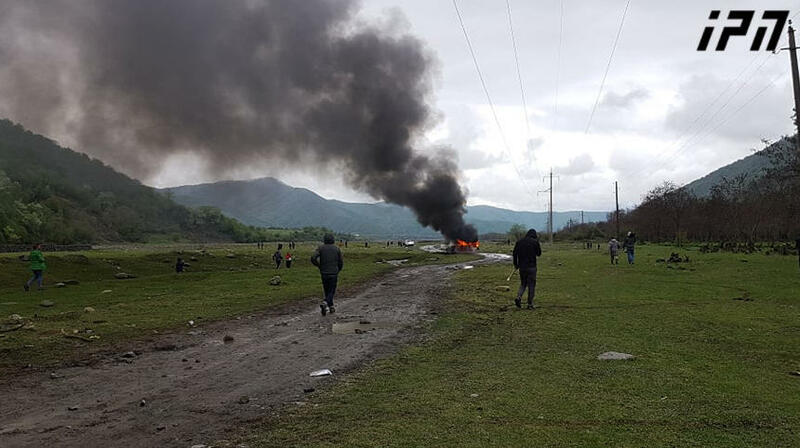 People from Khaishvili, Lukhi, Kveda Tsvirmindi, Larja, Tobari and Lavkhorali will have to leave their homes. More than 70 families in Khaishi about a month ago swore an oath to do everything in order to prevent their village from being flooded. About 20 families joined them last week. 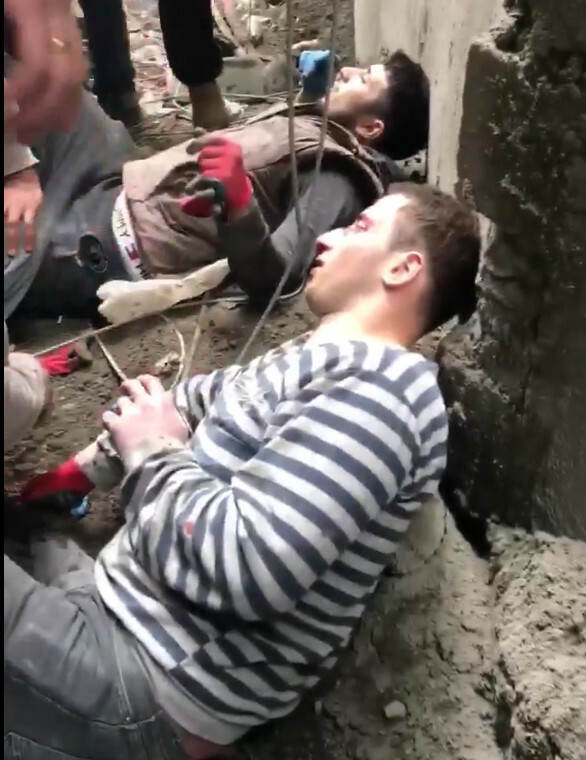 Prime Minister Ivanishvili said during the start of construction work that he understands the concern of the locals, but the World Bank does the project in a ‘very civilized way’ and every family will have a good income. “They must realize that they are supporting the future of the country,” he said.